Ready to break a World Record? We are! To celebrate the glorious start to spring, the Australia Lawn Fanatics group will attempt to break a world record at an event on Sunday 17th September for all turf and landscape lovers, which will raise funds for the Queensland Cancer Council and Empower Golf charities. For those of you who don't know, Australian Lawn Fanatics are an Australian lawn improvement group, based on social media, that's an open forum for all grass lovers. It's full of amazing tips and advice from people who, for lack of a better word, are lawn fanatics. You can find the group on Facebook here. The event will take place at the Go Turf farm, 434 Mekins Road, Beerburrum. It will start at around 9am and run through until 1pm. Proceeds from the day will go directly to both the Queensland Cancer Council; and Empower golf, a charity that facilitates and promotes golf for less abled Australians, enhancing physical/mental health and allowing social interaction without barriers. As such a worthwhile causes, Go Turf is happy to be able to support the day and we hope that everyone is able to attend and enjoy the festivities. There’s going to be a sausage sizzle, a jumping castle, and plenty activities for the kids, as well as loads of turf related information, raffles, and giveaways. Sponsors for the day include GoTurf, who are providing a lawn large enough to mow, Seasol, Lawn Pride, Toro Mowers and more. The highlight of the day will be the attempt at breaking a world record for the most push mowers being used together, which everyone able will be invited to participate in. 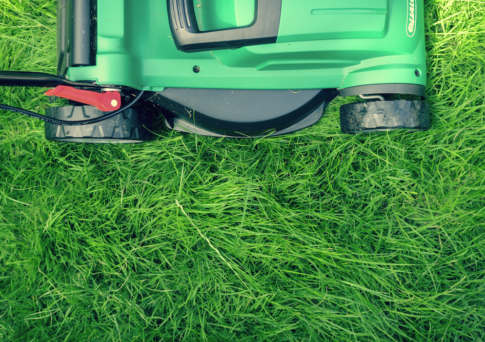 Bring your push mower and be part of the Guinness Book of Records! This truly Australian event will be stand out for all involved, so be sure to bring the whole family along, and don’t forget your push mower! If you want more information on the event, activities or how you can be involved, get in touch with Australian Lawn Fanatics through their Facebook page, or you can give the team at Go Turf a call on 1300 781 175. Go Turf is the largest independent turf producer on the Sunshine Coast who pride themselves on supplying developers, builders, landscapers, home owners and other turf producers with high quality and amazing value grass suited for South East Queensland conditions.